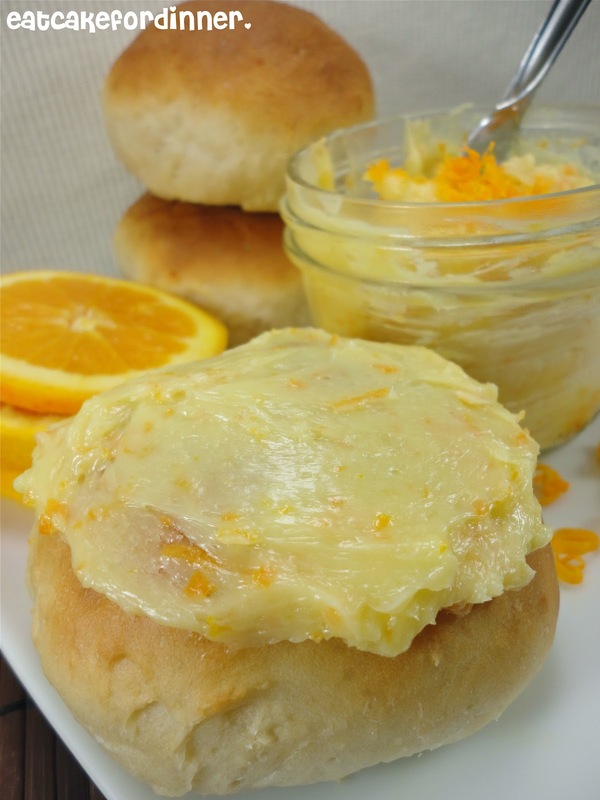 I found this Sweet Orange Butter over at Real Mom Kitchen and she claimed that this butter would make an ordinary roll taste like an orange roll. Did I hear the words Orange Roll? Well, it was delicious. It was smooth and creamy with the perfect amount of sweetness and a nice strong orange flavor. It definitely will liven up your plain old rolls! If orange butter isn't your thing, try my favorite Cinnamon Honey Butter instead. Beat butter until smooth. Add the powdered sugar, honey, vanilla and orange zest and beat until light and fluffy. Serve with your favorite rolls. Ohhhh I love anything orange and this sounds devine! My kids would love this. My little one is crazy about honey. Thanks for the recipe! Awesome. I made my own honey butter for the first time, this past Christmas. I think this would be an awesome variation!! Love flavoured butters! Usually I lean toward the savory ones but this orange honey one sure looks tempting. I found this on Pinterest, and re-pinned of course, and can't wait to try it. I love flavored butters for scones and biscuits. I would love to invite you to share this, and any other posts you would like to, on my Creative Thursday Link Party at www.michellestastycreations.blogspot.com. Have a great week. Sounds so good! I can't wait to try this! MMMM I am definitely making this! Thanks for sharing! Ummm, ummm, good! This sounds perfect! I love sweet butters -- although I've not tried orange -- may have to do that next time! Oh, yes please! I would love a jar of this!!! It would be great on Salmon too! What a wonderful treat! I will have to try this soon! Looks truly amazing. My diet is now ruined! Thank you for sharing your delicious food!